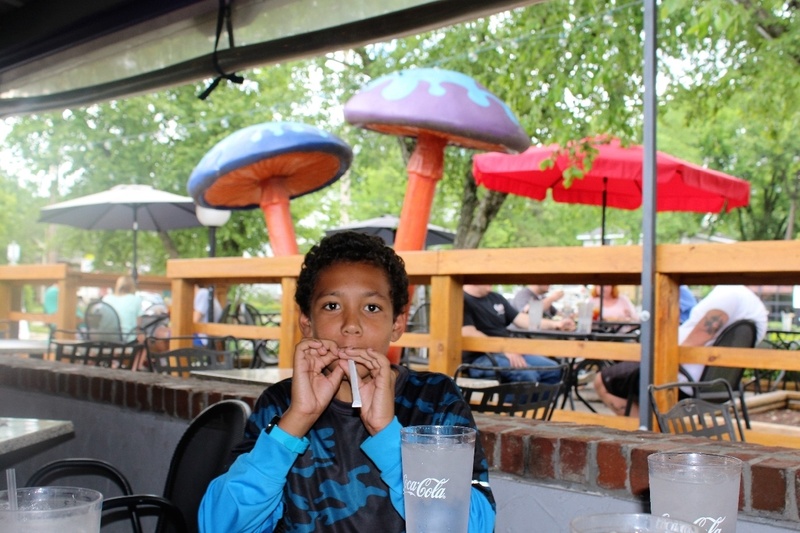 Josiah having fun while waiting on his pizza at the Mellow Mushroom in Raleigh. Great fun! !